Browse our party Rental inventory by Category or Get Real Time Availability after you Enter Your Party Date In The Calendar! A Perfect addition to any event! Shop now for Big Discounts! Large Selection of wet and dry! 30 to 135' Challenge Courses! Bouncers with Slides & obstacles! Great Addition to any Gathering! Large selection of party add-ons! Power for any size event! 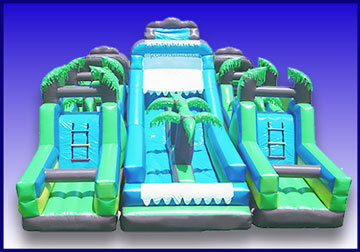 Cool off this summer with Water Fun Party Rentals! 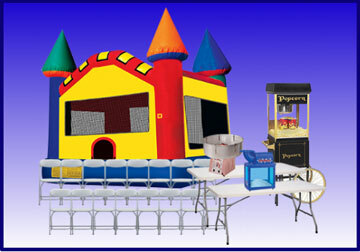 Building your party is easy at HouseofBounceNY.com using our new online reservations system. 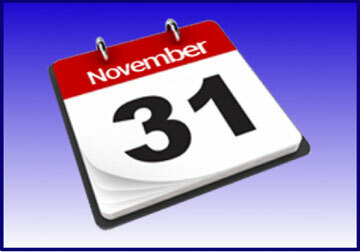 Just click the Order by Date link below and enter the date and times of your event. Then, as you browse through the website, you will be presented with only those items available on your date. That takes all the worry about whether or not your favorite items are available. Not ready to commit just yet? No problem! You can also just explore all the categories and as you see items that are perfect for your party, just click the "Add to Cart" button on every product page, and build your party that way. It's easy as one, two, three! 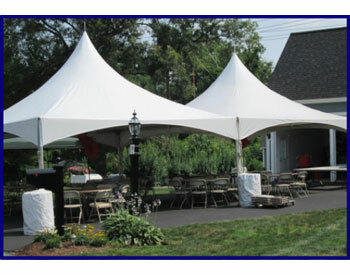 The Hudson Valley's Premiere Tent and Party Rental Company! Welcome to A&T's House of Bounce Inc. We are the Hudson Valley's #1 choice when it comes to inflatable attractions, tent packages and concession equipment in the greater Newburgh area. We are a local, family owned and operated business providing exceptional Inflatables and tent packages to our clients since 2014. We invite you to explore our vast selection of inflatables, tent packages and games to find the perfect compliment for your next event. Whether you are hosting a small backyard party, Corporate event, school carnival, church fair or any other type of event, we have what it takes to make your special day one to remember. We have something for everyone including a variety of Tent Packages, Bounce Houses with Slides, Water Slide, Obstacle course, Interactive Game, Concession Machines and more! Every inflatable bounce and slide rental comes with guaranteed on time delivery and our unmatched customer service! Our team of highly trained party professionals are equipped to handle any size event and we will help make sure it goes off without a hitch. Safety of your guests is of utmost importance. We take pride in our promise to provide our customers with the best inflatable equipment and tent packages. We guarantee you will be satisfied with the cleanliness of our inflatables, tent packages and most importantly, our professional customer service. 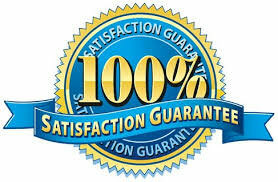 Your equipment will be delivered and set up quicly and on time! Check out our 5 Star Reviews on Google and Facebook! So go ahead and check out all of our great inflatables and tent packages! Then, go ahead and book your next Hudson Valley event with A&T's House of Bounce! 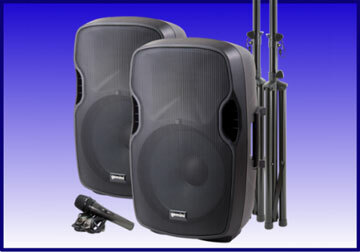 Do you want to turn it up a bit at your next event? 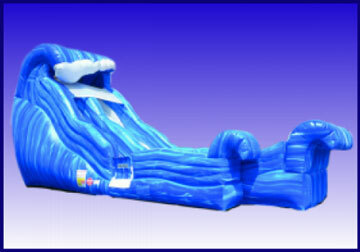 Why not add one of our many Inflatables? 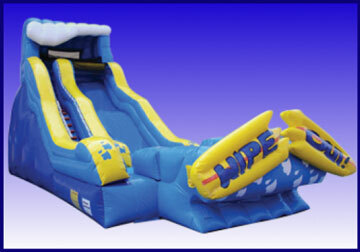 We have the best selection of inflatables Newburgh has to offer. We have something for everyone and they are sure to leave your guests amazed. From our standard bounce houses, giant water slide and obstacle courses, we are sure to amaze your guests with one of our impressive party Inflatables. Our vast selection of Interactive games are sure to impress your guests and add hours of fun filled excitement. Don't forget to check out our many tent rental options to keep your guests cool and dry. We have several tent packages available if you want to add a tent to your inflatable order. Want to learn more? 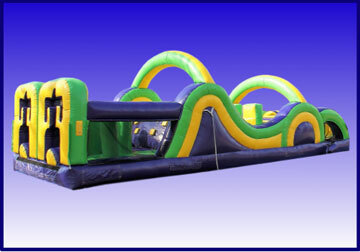 Browse our website for the most extensive selection of Inflatables Newburgh has to offer. 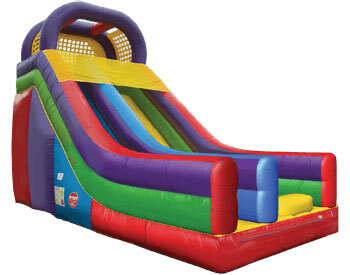 Whether you call it a Bounce House, Jumpy Castle, Moonwalk or Inflatable Jump thing, we call them Fun! 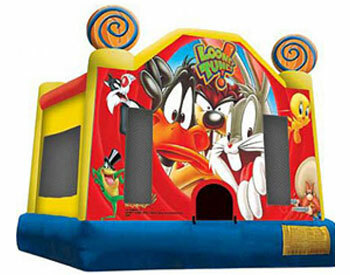 Our Fun Jump Bounce Houses are available in many different themes. 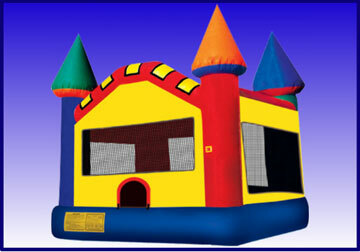 We have standard carnival colored Fun House Bounce Houses along with licensed Disney Bounce Houses. Let the kids bounce for hours in one of our extra large bounce houses. They are the biggest inflatable bounce we have and can safely entertain up to ten kids at a time. Our standard size bouncer is 15'x15'x15'. 6-8 kids at a time can bounce in our standard fun bounce. They are the perfect for kids birthday parties and small church events or fairs. 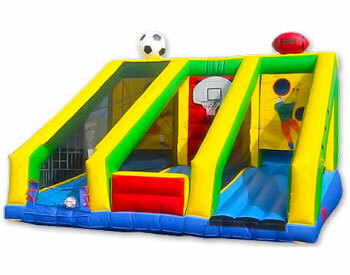 If your kids like to bounce and jump, our Bounce Houses are a must have for your big event! Don't forget to check out our tent rental packages to keep your guests cool and dry. If you are looking to add a little more excitement to your bounce house rental, why not step it up a notch and book one of our many Combo Bounce with slide units? 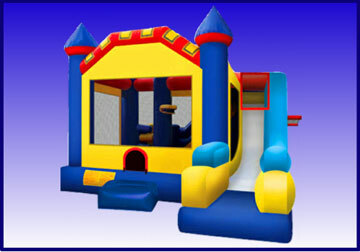 Each one of our many Combo Bounce houses add a rock climb, obstacle area and a slide. Several of our combo bounce house with slide rentals even have a basketball net. 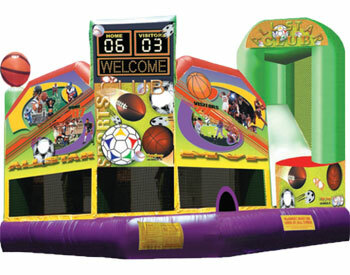 Your guests will bounce for hours in any of our combo Bounce with slide units! We have the largest selection of Combo Bounce House rentals Newburgh has to offer. so go ahead and pick a theme for your combo bounce rental and order it today! Don't forget to add a tent to keep your guests cool and dry. Are you looking to challenge your opponent in an epic battle to the finish? With multiple obstacle courses to choose from, you can race your opponent through obstacles, around barriers, up a giant rock climb and down a slide to the winners podium! Big or small we have them all! 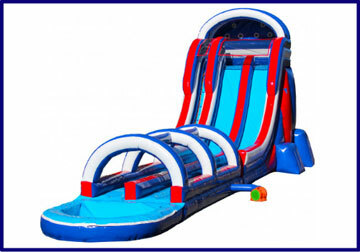 we have obstacle courses ranging in size from our 30' mini challenge courses to our massive 135' Aqua extreme obstacle course rental which can have an added water attatchment making it a water slide with an attatched slip and slide. 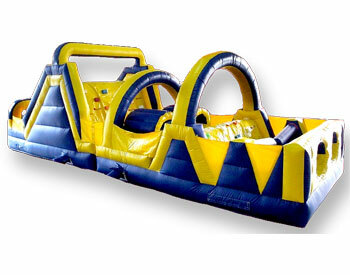 Click the link below to view all of the impressive obstacle course Rentals Newburgh has to offer! Don't forget to also add a tent to keep your guests cool and dry! 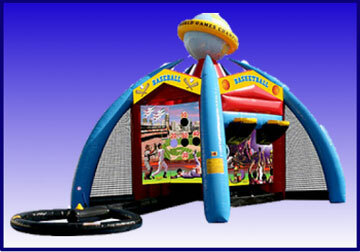 Our Interactive Inflatable Games are an awesome addition at any event. We have many different sports themed inflatables where you can challenge your opponent to Basketball, Football and Soccer. If you want to take it up a notch, you can square off to your opponent in games like Gladiator Joust and Wrecking Ball. Interactive Games are perfectly suited for the Middle School and High School Events. They even make for a perfect addition to a graduation party rental for your College athletes. Don't forget to add a tent to keep your guests shaded. Are the dog days of summer setting in and you are afraid your guests will overheat? Nothing makes a party better than a Giant Water Slide rental from A&T's House of Bounce. Climb to the top of one of our massive Water Slides and Race to the Bottom and get soaked in the giant pool. We have many different water slide options to choose from. 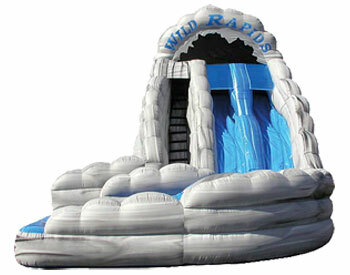 They range in sizes from 15' to our massive 27' Tall Roaring River Waterslide rental. If you are concerned our Water Slides are too large, you can try out one of our Inflatable Slip and Slides or even a dunk tank rental. What better way to turn your school, church or backyard into a carnival than with a Giant Slide rental? 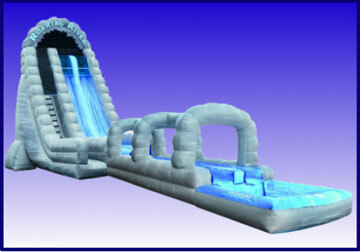 We have many different sized dry slides to choose from that will really impress your guests. Our dry slides range in height from 13' to a massive three story 27' tall dry slide. Our Dry slides are perfect for large crowds where you need to move a lot of kids through the inflatable in a short time. They are perfect for any school or church function. They are a big hit at town community day events as well as for a backyard birthday party rental. Planning a party or event can be frustrating and expensive to say the least. We know how important your special day is and that is why we work with our clients to get them the best event rental Newburgh has to offer along with the most professional customer service at the most affordable prices in the Hudson Valley! Whether you are looking for just a tent rental or you are looking to turn your school into a carnival with our games and concessions, we have what you need. 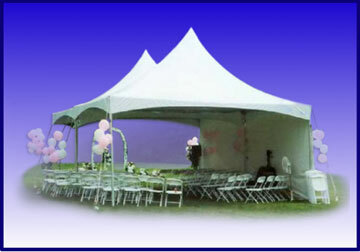 We carry three different style tent packages. Pole tents are the most common and cost effective tent in our inventory. If you are looking for something without a center pole, you can add our west coast frame tent to your order. If you are looking for an excuisite tent for your party, you must check out our 20x40 High Peak Frame Tent. We have tons of items available to accent your tent package as well. You can add sides, lights and heaters to anyone of our tent packages. Why shop at multiple companies when you can get everything you want from one place! Check out the extensive list of event rentals newburgh has to offer! If you are having a party or event in NY, you know how crazy Mother Nature can be. Don't let your guests get trapped in the cold rain or hot sweltering sun. We offer many different Tent Packages to meet any need or budget. We have many traditional pole tent styles along with a west coast frame tent and elegant high peak frame tents. a frame tent has no center poles. You can add tables and chairs anywhere under the tent canopy which makes it a very versatile tent. We offer many add ons for your tent such as sides, lighting, heaters and dance floors to make your party tent as comfortable and enjoyable as possible. Browse all the Tent rentals Newburgh has to offer by clicking the link below. Are you looking for a fun family activity? 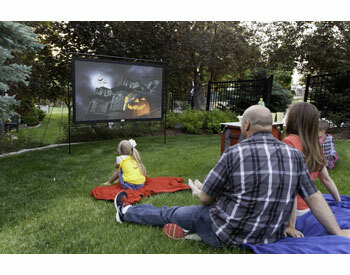 Our Indoor/Outdoor Movie set up is the perfect addition to any back yard party or School/Church event. Let up to 100 of your guests sit back in their favorite lawn chair or blanket and view the movie of your choice. We show up about an hour before dark and set up our 110' wide movie Screen along with the sound system and projector. We will play the movie you provide us with on either a laptop or dvd player. We do all the hard work so you and your guests can sit back and enjoy! 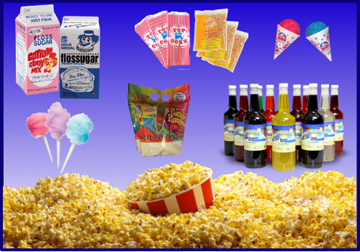 Add a popcorn rental and a pop up tent for the added drive-in experience! Do you want to add a little extra touch to your childs birthday party or special event? Our Giant Yard games will turn your party into an amazing carnival while leaving your guests speechless. 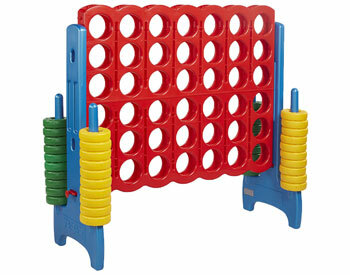 We have all the favorite games that you and your kids grew up playing except for the fact they are larger than life! Check out our Giant Connect 4 and Giant Jenga for the smaller kids, while the older kids pair off in a game of Giant Pong! The best part of a large carnival or community day event is the Fun Foods! Nothing screams Carnival more than the smell of fresh Cotton Candy and Popcorn being made! It is sure to get your mouth watering. A&T's House of Bounce has all the concession machines needed to provide that special treat to your guests throughout the party! We stock all the supplies as well! 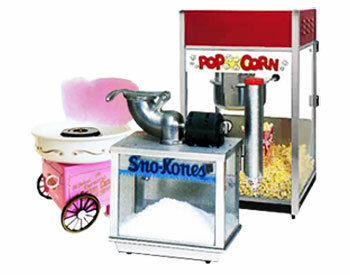 For the authentic carnival set your concession machines up under our 10x10 tent. 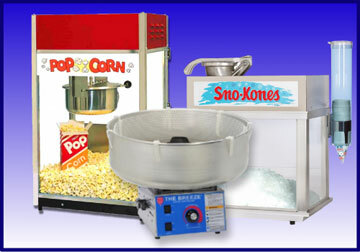 Click below to view all the concession machine rentals Newburgh has to offer! Do you want a fun way to entertain guests at your event! 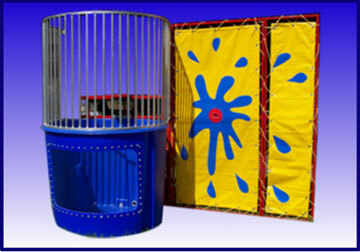 There is no better satisfaction than when you pitch your ball and hit the plunger on our dunk tank rental! Watch as the player inside falls straight down into 500 gallons of fresh water. The look on their face as they plunge into that cold water is priceless! 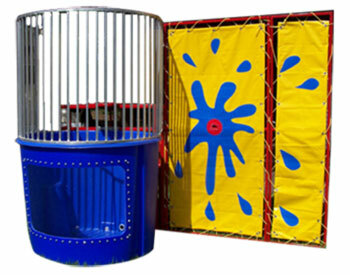 The Dunk tank has a large window so you can see all the action inside. A&T's House of bounce only offers the Highest Quality Products! We are fully licensed and insured! We offer the best brands at the best prices! We price match our competition! All of our tent and Inflatable products are cleaned and disinfected after each rental! They come to you ready to use! Don't be fooled by our competitors tricky marketing and pricing tactics! You can rest assured that what you see is what you get! All of our high quality tents and inflatable units rent for a full 8 hours and our prices include Free Local Delivery, Set Up and Removal! A&T's House of Bounce has been bringing the FUN to the greater Hudson Valley since 2014. If you are looking for the best Orange County party rentals, you have come to the right place. We also service Ulster County, Rockland County and parts of Sullivan County. We have the biggest selection of Dutchess County party rentals and also provide our services to Putnam County and Westchester county. Be sure to check out our Delivery Area Page for our entire list of delivery cities. If you don't see your city, feel free to call us at 845-787-0515 to discuss your needs. If you are looking for a bounce house, tent, water slide or any one of our other party rentals in Orange County NY, you have come to the right place. We offer the biggest and best selection of Orange County party rentals to many great cities including Newburgh, Middletown, Pine Bush, Chester, Monroe and more. 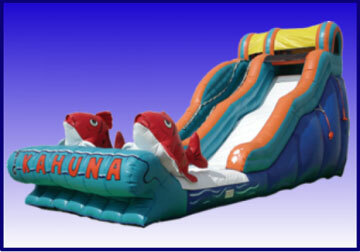 We have the best selection of Inflatables in Ulster County. We deliver throughout Ulster County to cities including Highland, New Paltz, Esopus, Kingston, Wallkill and more. We have the biggest selection of Dutchess County party rentals in the area. Book your next Tent, Bounce House or Obstacle Course rental with us. We service the majority of Dutchess county including great cities like Poughkeepsie, Lagrangeville, Wappinger Falls, Beacon and Hopewell Junction and more. We even go as far north as Rhinebeck and Millbrook. 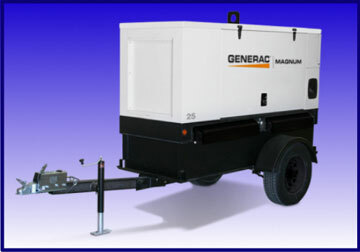 We service the entire Putnam County party rental area. We deliver all of our Inflatables and tent rentals to cities like Putnam Valley, Cold Spring, Brewster, Carmel, Mahopac and more. 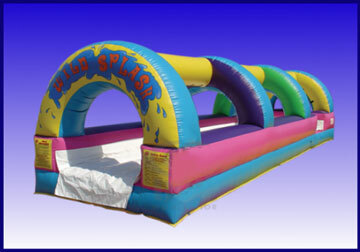 We offer the best seleciton of Weschester party rentals. If you are having an event in Peekskill, BriarCliff Manor, White Plains, we have the Inflatables and tent rentals you want! We deliver throughout Westchester County to cities such as Montrose, Mohegan Lake, Shrub Oak, Valhalla and more. 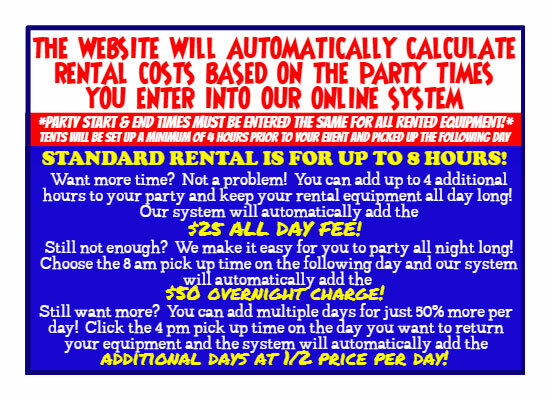 We offer the best selection of party rentals in the Sullivan County area. We offer our services to Monticello, Wurtsboro, Bloomingburg, Fallsburg and more!